Today marks the point on the calendar where the San Francisco Marathon is only 26 weeks away. Of course, “only” doesn’t sound proper for that many weeks unless you are a marathoner. Most marathon training cycles are 18-20 weeks long. So 26 doesn’t sound that far away for me. On July 31 sometime a little before 6 in the morning I’ll toe the line for what should be my 6th marathon (unless I run something between Myrtle Beach on Feb 19 and then). I never thought that I would have run this many marathons in the 4 years that I have been running. It took me two just to get the gumption to run my first, at Disney in 2009, then almost another year to get back in condition to run my 2d (Rocket City, Dec 2009). And yet another 10 months to run number 3 at Chickamauga. But that one was special. It opened the door to my finally becoming the runner I have wanted to be for some time. But I am picking up my pace! I ran Chickamauga in November, Disney’s Goofy Challenge in January, and will run Myrtle Beach in February. I’m addicted to the training, not to mention the races. Most of 2010 was spent reconditioning my body, losing weight, transitioning to Veganism, and exploring the running possibilities with my new self. To say that the pace of this transformation and change were a little surprising to both my friend Megan and me is an understatement. As she trained me and mentored my Vegan shift, she began to see the pacing possibilities a little earlier than I did. I have spent most of the last year in a surreal cloud wondering if these numbers on my Garmin are correct, and whether I should send the watch back for testing! I never thought that I would get a consideration at all. I mean, if you think about it, I live in Alabama. I have never been west of Texas, I obviously have not run the course, and my only connection is that I have a dear friend and running mentor who lives there and BQd on the course last summer. I helped her train for it, we wrote run plans together and I carried with me for weeks an elevation chart for the race and studied it like I was retaking my Ph.D. exams! So although having never been on the course or in the city, I know a great deal about the race. And since Megan BQd on a tough and hilly course, I believe in the race and what people can do there, regardless of its reputation for difficulty. So, I pitched that story to the SF Marathon folks, as well as my story of personal transformation. And lo and behold they accepted me! 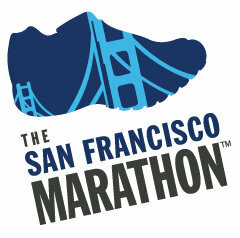 So, I am a SF Marathon Ambassador and will travel to Cali for the first time in my life in July. I’ll run the race alongside my friend Megan and I will try to achieve some major personal goals as well. In the meantime, I plan to chronicle my training for the race on this blog and in my podcast. I also plan to share training tips for the race. Megan and I have discussed the development of a shared philosophy of marathon training that she has developed over the years and we honed as she prepped for SF last year and as I prepped for Chickamauga. So my goal is to share what we are doing and why we think it works for us and can work for others, especially those training for the SF Marathon. I am honored to have been chosen an Ambassador. Really, this is so cool in that I’ve only been running 4 years and have really only matured as a runner over the last year and a half. To think that the SF Marathon people think I have something to offer makes me at once feel humble and proud. 26 weeks!? Yikes. We better get to work! Gordon-I’m excited to hear all of your training tips and learning from Megan’s experience. Can’t wait to meet you guys in July! AND I can’t wait to see my old digs-the fog, the hills, the avenues, golden gate park. It’s going to be a big nostalgia trip for me!